McCoy Farmstead is a rural farming complex and dwelling site two miles from the town of Holly Hill in Orangeburg County. It is named for the McCoy family, who farmed the land for multiple generations with the help of tenant farmers. 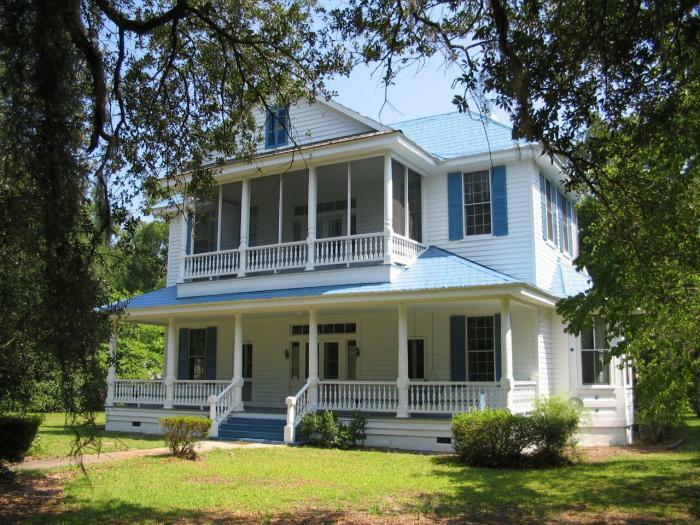 The McCoy Farmstead consists of a main house built circa 1875 and fourteen contributing buildings and structures erected between 1875 and 1900, with the exception of the flower house that was built in the 1930s. Agricultural fields surround the house on four sides. Across Boyer Road from the main house is a circa 1875 one-story wood frame schoolhouse that operated as the McCoy School in the late nineteenth century. McCoy Farmstead is significant for its agricultural, educational, and social history. The farm complex, especially Lula’s House (an extant tenant home) and the agricultural outbuildings, is associated with late 19th and early to mid-20th century agricultural practices, tenant farming, and domestic labor from c. 1875 to 1953. The McCoy Community Schoolhouse is significant in local education, as it served as a white school from c. 1875 to c. 1902. The main house is also significant for its architecture, as an example of a vernacular Queen Anne residence. Listed in the National Register January 22, 2019.